Home › Construction Spanish › Be like Mat: Go big. You don’t become the greatest vertical ramp BMX rider in history without practicing. When you practice for big air, you learn from big crashes. 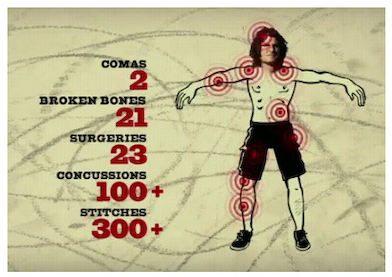 I recently watched ESPN’s 30 for 30 documentary about Mat Hoffman, “The Birth of Big Air.” He is fearless. This characterization is unsurprising watching someone sit on a bicycle being towed by a motorcycle going 55 mph so he (the bicycle-sitter) can be launched four stories into the air. To do this you need to be fearless – and then some. 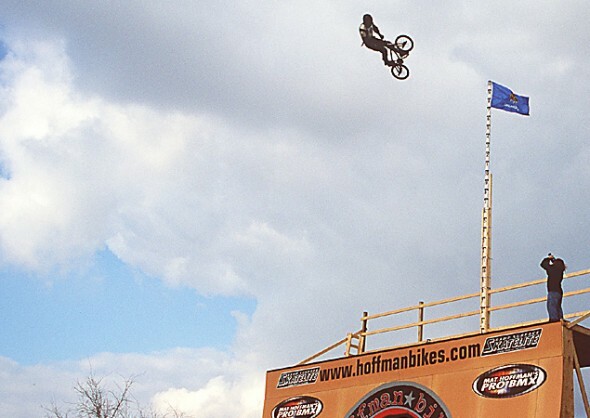 But moreso than the jumps, Hoffman’s thinking was fearless. Mat refused to succumb to the pragmatism that often plagues businesses and individuals: incremental improvements. He refused to accept incremental improvements in his craft. As he was jumping 15 feet, he didn’t spend energy developing a ramp to 16. He was making plans to reach 25. Combined with his fearless thinking, Hoffman practiced harder than anyone else. The broken bones and the comas and the concussions were a testament to doing whatever it took to be prepared when the time came to go real big. A guy this fearless in thought and action can do anything. When you’re not afraid of failing (or dying, evidently), who knows what can happen? What’s on your agenda today that could benefit from a dash of fearlessness? Bradley Hartmann is founder and El Presidente at Red Angle (www.redanglespanish.com), a training and consulting firm bridging the English-Spanish language gap in the construction industry. He once went off a ramp that was 18″ tall. It was awesome. ‹ Text Mex: Meet ‘em where they are.